You can take advantage of the training opportunity on our training place - Vakonic agility family. 3 big events close to each other will be on the sand. Our training ground (with sand of course :) is around 110 km from European Open location and only 30 km from BCC and Slovakia Open. The trainings will be available throughout the day from 8:00 to 21:00. 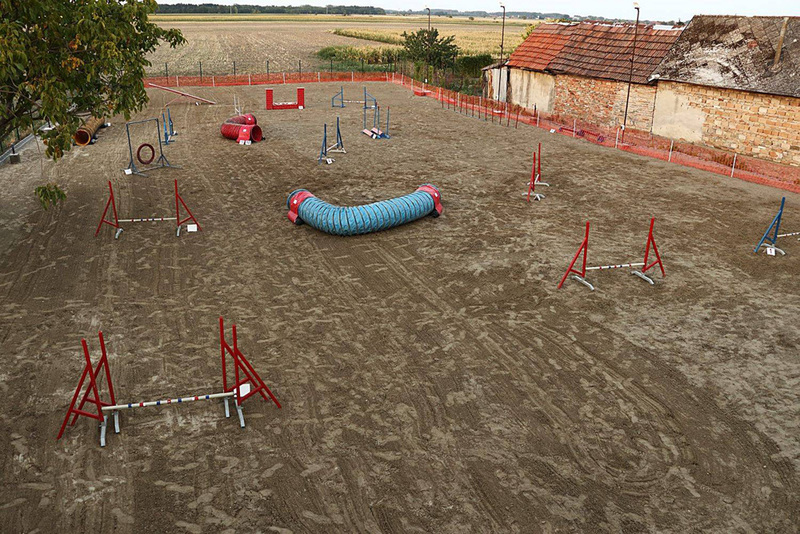 Dimension of sand ring is 20 x 45 m, all kind of obstacles will be available. Price for rent is 15 €/30 minutes. Or training with trainer (Pavol or Martina) in the group maximum 5 dogs for 2 hours, price is 20 € / dog.